DescriptionShow your guests around your wedding venue in style with these smart marble effect signs, enhanced with gold lettering. Using a classic typeface, the signs point guests in the direction of dancing, drinks, dinner, ceremony and toilets. Pack of 5 double sided signs with white ribbon to hang. 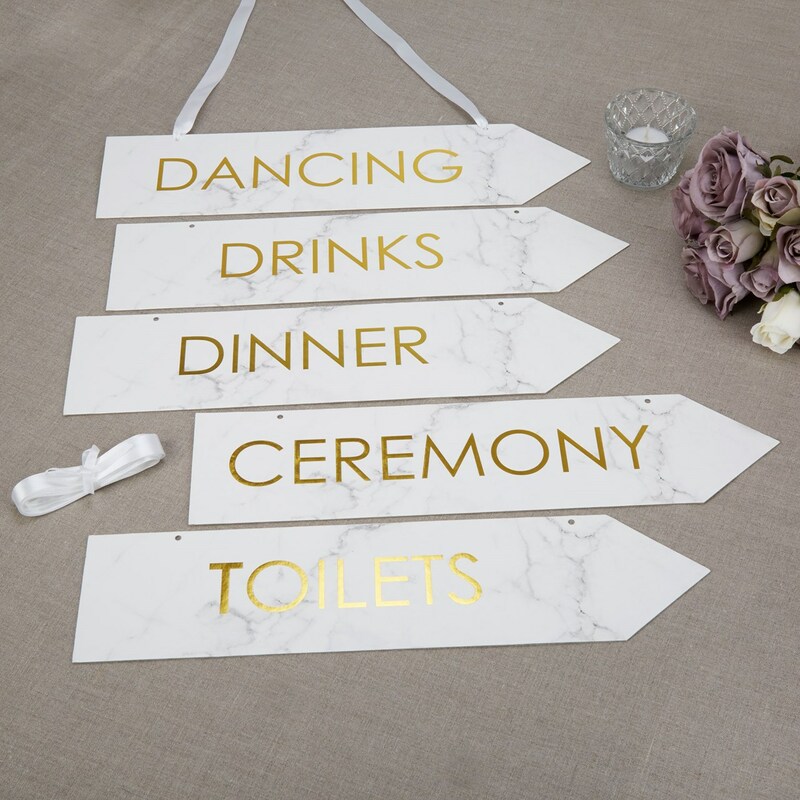 Show your guests around your wedding venue in style with these smart marble effect signs, enhanced with gold lettering. Using a classic typeface, the signs point guests in the direction of dancing, drinks, dinner, ceremony and toilets. Pack of 5 double sided signs with white ribbon to hang.